Call Us Today For Quality Check Up or Quote! We specialize in the service and repair of Honda & Acura Autos. DJ’s Specialty Auto Service repairs and services Honda or Acura Automobiles in Taylors, and the surrounding communities of Greenville, South Carolina. We’ve been serving the Upstate for 22 years. It’s our customers who keep us in business so we make their satisfaction our number one priority! Our experience goes into our quality care for your car! We’re dependable and affordable. You bought a Honda or Acura automobile for good reason, trust it to DJ’s. We at DJ’s Specialty Auto Service are committed to providing our customers with dependable and reliable products and services. Today’s Honda & Acura Automobiles are sophisticated machines; make sure your car is getting serviced and repaired by people by who are up-to-date in all of the latest diagnostic techniques. Trust your care to an ASE (Automotive Service Excellence) Certified Master mechanic; trust DJ’s Specialty Auto Service we only work on Honda & Acura Automobiles. 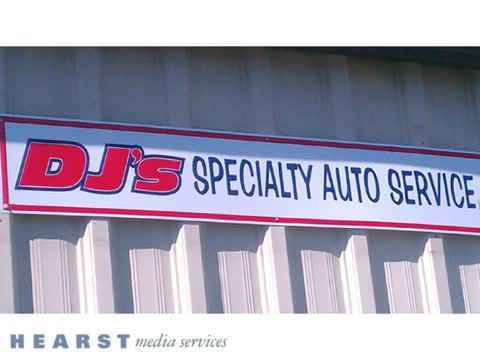 DJ's Specialty Auto Service is the place to go for all your Honda service & repairs. Take care of your Honda and it will take care of you. See us for air conditioning service, brake service, electrical issues, transmission service, engine service or any other kind of service or repair. DJ’s has the tools, the know-how and the Genuine Honda Parts to do the job the right way. Planning to buy a used Honda or Acura? DJ’s Specially Auto Service can conduct an in-depth pre-purchase inspection, so you’ll know the condition of the Honda or Acura automobile before you buy it. We service and repair Honda Vehicles. We are a locally owned and operated so we’re able to give the kind of personalized service that others cannot. We’re a full service repair shop and we specialize in Honda automobiles; it’s the only make of car we work on! And we use only “Genuine” Honda parts. We guarantee our service by our ASE trained technicians and will go the extra mile to make you happy. Call or come see us for all your repair & service needs. Call DJ’s Specialty Auto Service today to schedule an appointment. Air conditioning service, Brakes, Body fuel injection, Carburetor, Certified ASE Master trained specialist. We stock genuine Honda parts. Electrical systems, Diagnostic testing, Transmission service, Engine service, Fuel injection, Auto repair, Car repair, Transmission repair, Brake repair, Engine repair, Automotive repair, Mechanic, repair shop, Automobile repair.